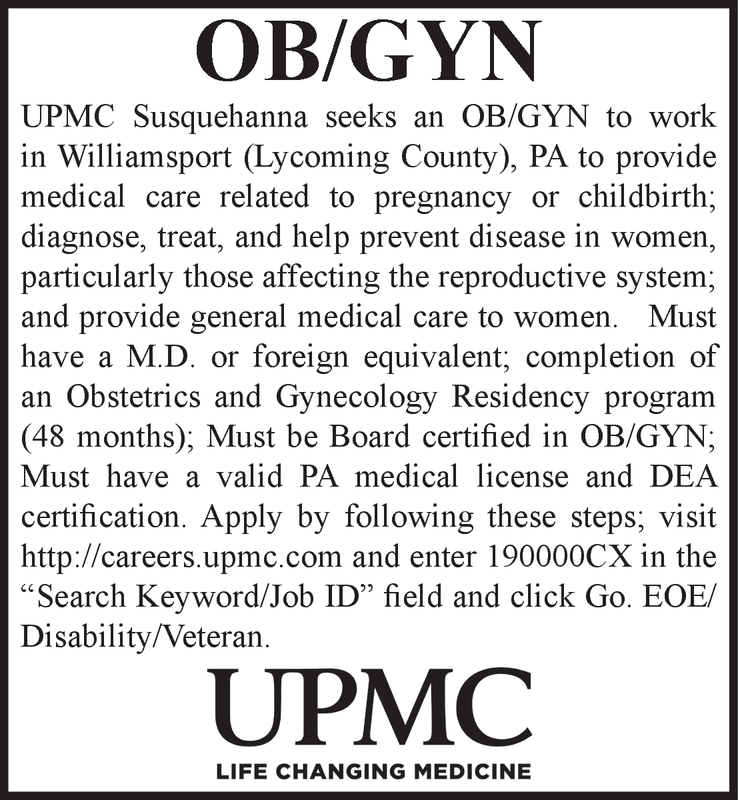 UPMC Susquehanna seeks an OB/Gyn to work in Williamsport (Lycoming County), PA to provide medical care related to pregnancy or childbirth; diagnose, treat, and help prevent disease in women, particularly those affecting the reproductive system; and provide general medical care to women. Must have a M.D. or foreign equivalent; completion of an Obstetrics and Gynecology Residency program (48 months); Must be Board certified in Ob/Gyn; Must have a valid PA medical license and DEA certification. Apply by following these steps; visit http://careers.upmc.com and enter 190000CX in the "Search Keyword/Job ID" field and click Go. EOE/ Disability/Veteran.